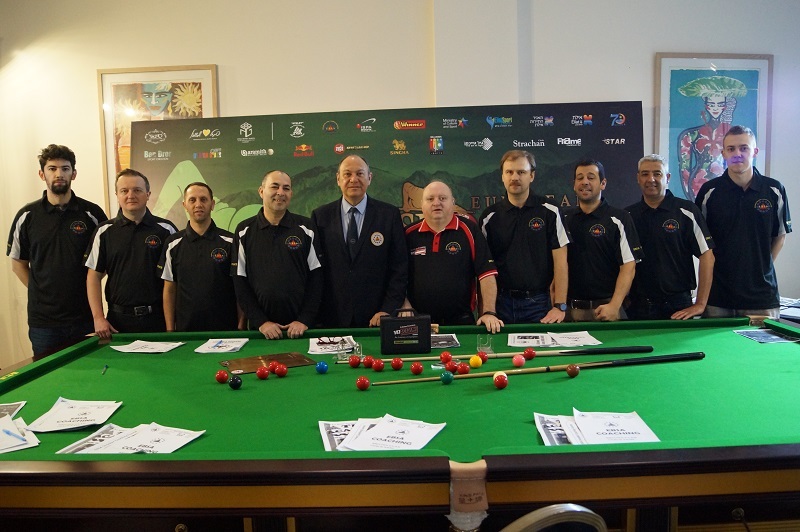 Head of EBSA Coaching PJ Nolan travelled to Eliat, Israel to hold an EBSA Coaching Course from the 24th – 26th of February to train eight coaches on behalf of the European Billiards & Snooker Association in becoming Official EBSA Snooker Coaches. 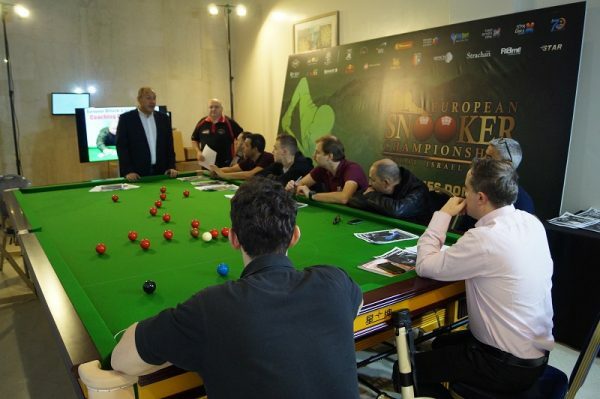 This successful course was held during the 2019 European Men’s Championships in the U Magic Hotel in Eliat. Attending this training course were Radoslaw Babica from Poland, Andres Petrov from Estonia, Andrej Maksimov from Lithuania, Filip Bermanec from Croatia, Adi Kerila from Israel, Asher Nahmani from Israel, Ronen Deri from Israel and Shai Yair from Israel. This EBSA Coaching Course is only open to recognised coaches who are approved by their own National Governing Body and the 8 nominated coaches this time around were from all across Europe. PJ said ” It was a big honour to come back to Israel to hold the course and train to qualify eight new coaches. 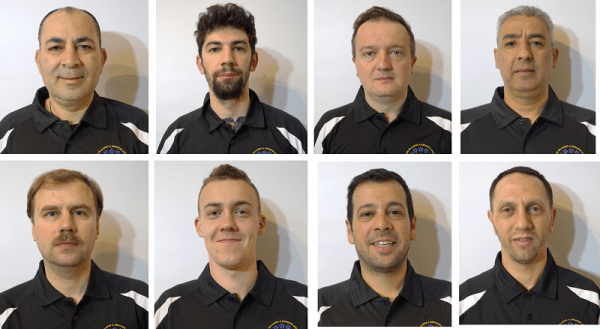 All eight are passionate about Coaching and some have a great experience of playing on the International stage including two time former European Finalist Andres Petrov from Estonia. It is hoped that the new structure will help all coaches grow and promote the game more in their own country. 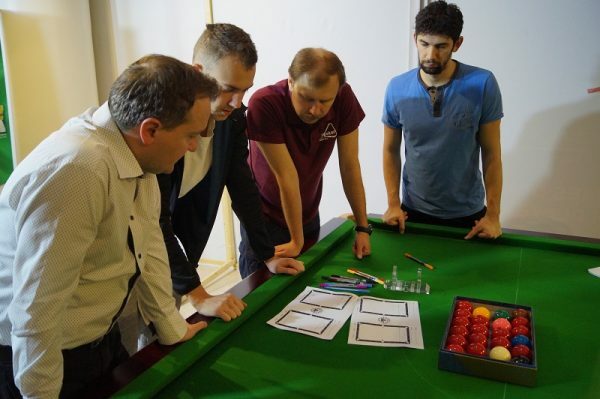 The EBSA Snooker Coaching syllabus includes a practical exam as well as verbal and written exams covering all the techniques and skills of coaching the game of snooker. This Coaching course covered all aspects of the game from Planning Sessions, Designing Routines, Role of a Coach, Sports Psychology, Rules of the Game, Practice Exercises, Written Records, Safety Play, Shot Selection, Oral Assessment, Preparation for Match- Play, Physical and Mental Etiquette and on the final day they completed the EBSA coaching written exam. Top European player Andres Petrov from Estonia said ‘’ the course was well laid out and PJ has given us a good structure to help us all coach to a high level. We just got to start coaching and gain more experience within our own country now. A new training program and manual in each of their language will be developed to help the new coaches’ train and guide their players. The coaches will now begin their probation period where they will complete all the necessary assignments to graduate in becoming a fully accredited EBSA Coaches later on this year. 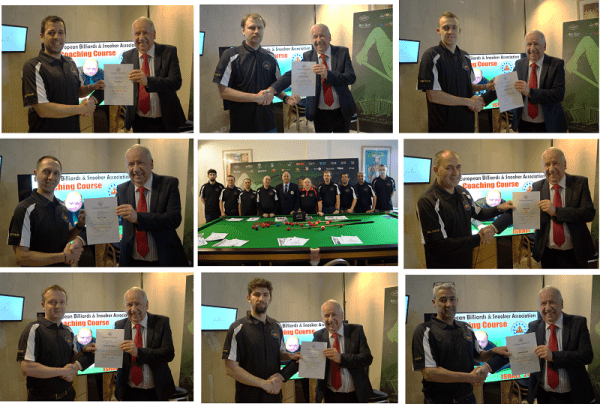 The EBSA will soon have twenty five countries consisting of sixty two coaches with full EBSA accreditation promoting the game all around Europe which goes well for the future of the game. A special Referee session was held by EBSA Coach and Referee Bogdan Gamalet where he outlined situations on the table and Rules of the game to help the Coaches advise their students in the future and PJ and the EBSA would like to thank him for all his assistance. 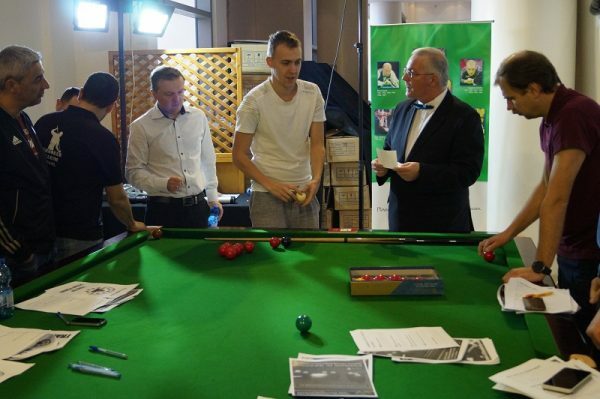 PJ thanked EBSA Chairman Maxime Cassis and ISPA Chairman Sharon Mizrahi and the Israel Snooker Association for inviting him to run the EBSA course. He thanked U Magic Hotel for all their help and wished the eight new EBSA coaches the best of luck in developing their coaching skills and completing their homework assignments in graduating as full EBSA Coaches later this year. 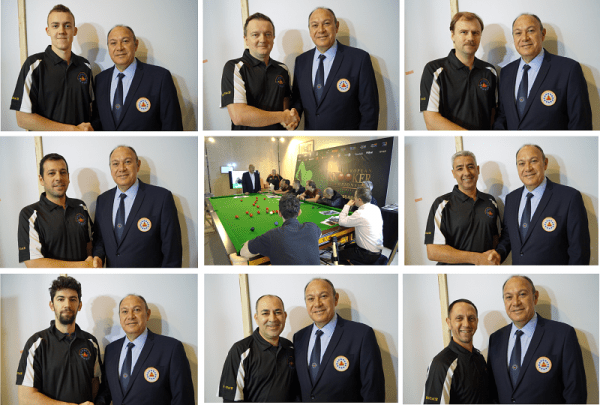 Another EBSA Coaching Courses will be held later this year at the next European Teams, Masters and Ladies Championships in Serbia to hopefully qualify more European Coaches. If you would like to become an Official EBSA Coach you need to contact your own National Governing Body in writing and request them to officially contact Maxime Cassis in the EBSA to nominate you to do the course as only nominated NGB coaches attend the EBSA course. Full details will be posted on the EBSA web site soon.